I use it sending midi notes to the plugin instance from a widget button to the MidiInBlock to create automated pads when change rack variations. 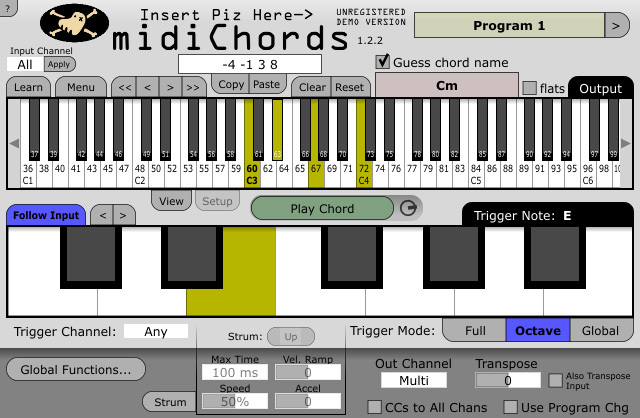 In the plugin you can define a diferent chord for each keyboard key, transpose the chord, and other options. You can use a kind of “strum” to put a little delay in the chord notes to emulate a guitar. Dayum this is GOLD!! Thanks buddy will definitely check this one out! !